Marketers agonize over so many aspects of their brand websites, from picking the perfect fonts to finding the most compelling words for call-to-action buttons, yet they often fail to pay enough attention to a vitally important detail: load time. While site speed may seem like a minor technical issue, it is in fact something that has a huge impact on everything, from visitor retention to search performance. 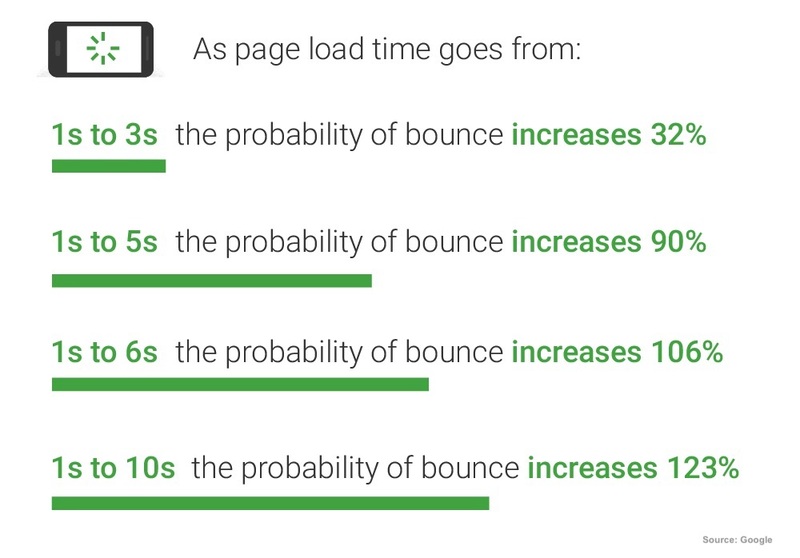 Why is page load time so important? How does it influence SEO? 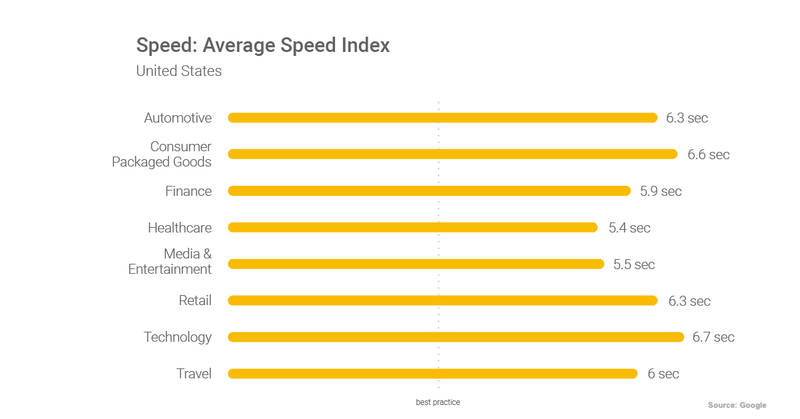 What speed should marketers be aiming for? Which steps should be taken to improve performance? Site speed—or, more accurately, load time for specific pages—has always been something to take into account. Ever since the days of dial-up Internet access, brands have had to be mindful of how long it takes for their online offerings to appear on a screen. However, what’s turned speed from a consideration into an imperative is the shift from desktops/laptops to mobile devices. Essentially, people are willing to wait for a while for a page to load on a computer, but they don’t have the same level of patience when using a smartphone or tablet. In fact, according to research cited by Google, nearly half (46%) of consumers say that waiting for pages to load is what they currently dislike the most about browsing the web on mobile devices. This deep aversion to slow-to-load pages has two consequences. First, it dissuades engagement and action-taking. According to a study conducted by Section, a 10% decrease in site speed correlates with a 13% drop in pages viewed per session. Along similar lines, research done by Amazon and Walmart found that faster-to-load pages generate significantly more revenue and conversions. The second issue with page speed is that it causes visitors to abandon sites altogether. Google found that bounce rates steadily increase as page load time increases—going from a one-second load time to a three-second load time increases the probability of a visitor leaving by 32%; going from one second to five seconds increases it by 90%; going from one second to six seconds increases it by 106%; and going from one second to ten seconds increases it by 123%. 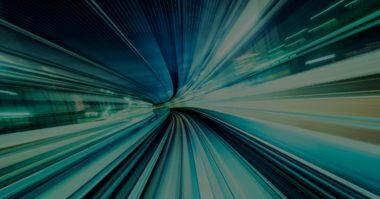 Why is site speed especially important for SEO? The goal of search engines is to deliver the results that consumers value most. So, given that consumers value fast-loading pages and dislike slow-loading pages, it’s no surprise that search engines prize site speed. 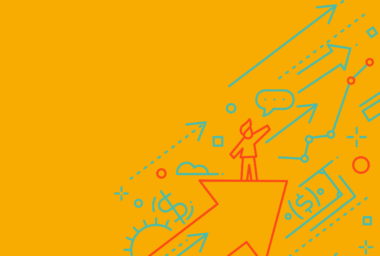 The influence of speed on search engine rankings is no secret. Google has long been open about the fact that it takes page load time into consideration as a ranking factor. Last year, the company made the connection even more clear when it announced that speed was now going to be taken into account for mobile pages. What’s important for marketers to realize is that search engines such as Google take a nuanced view of site speed. 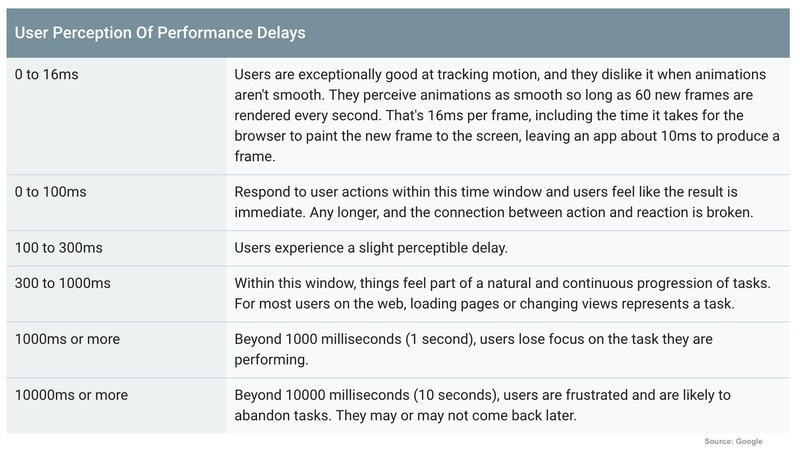 In addition to total load time, they’re also looking at such signals as time to first byte and start render (when a site begins loading) and visually complete time (when the user can see the page even if it isn’t finished loading). How much does page speed matter to search engines? While it’s impossible to tell the exact weight assigned, what’s clear is that there’s a strong correlation between page speed and good rankings. As an analysis by Backlinko found, pages that rank in the top couple of positions on Google results are significantly faster, on average, compared with pages that rank further down. How quickly should a site be loading? So, how fast should your web pages be? There’s no single magic number—people have different expectations of load time depending on things like the type of content being accessed (for example, a media site vs. a financial site) and connection speed (a 3G mobile connection vs. a business Internet connection, for instance). 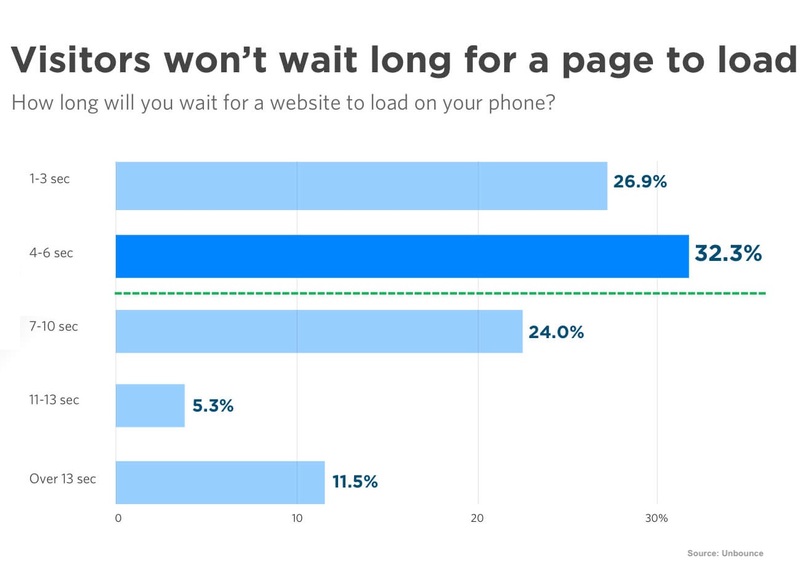 Broadly, a survey from Unbounce found that some 27% of people are only willing to wait up to three seconds for a site to load on their phone, 32% are willing to wait up to six seconds, and only 24% are willing to wait longer than six seconds. This is in line with the advice given by industry experts: at minimum, sites should load in under four seconds, with under three seconds generally viewed as the threshold to prevent a high bounce rate. Unfortunately, brands of all types are failing to meet this standard. An analysis by Google found that pages across different verticals take more than five seconds to load, on average, with that number rising to over six seconds in a number of industries. What can be done to improve site speed? 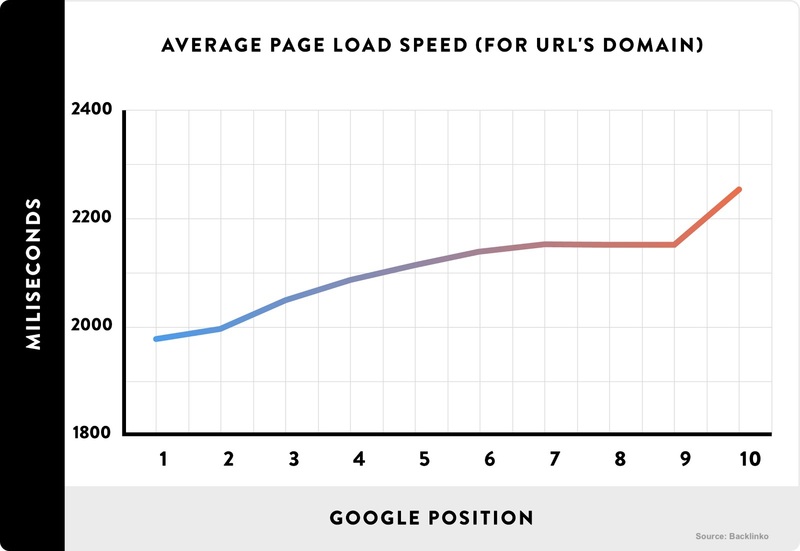 What can you do to improve the page load times on your sites? It’s challenging because speed is impacted by a host of technical factors, such as media compression, code handling, and caching. Luckily, there are a number of tools out there that can help you identify where you’re going wrong. One of the best is the free PageSpeed Insights from Google, which will benchmark your site, flag technical issues, and provide recommendations for how to improve performance. Beyond that, if your brand publishes a large volume of content, it may be worth considering solutions such as Google’s AMP and Facebook’s Instant Articles, both of which speed things up by moving some of the hosting of pieces to those platforms. Finally, keep in mind that even incremental improvements are valuable. Research from Google found that consumer behavior is influenced by tiny delays. For example, between 100 milliseconds and 300 milliseconds, users start to notice a lag. In other words, even slight reductions in load time can have a big impact on behavior. Ultimately for brand sites, every little extra bit of speed helps. Learn more about the importance of site speed. Contact MDG Advertising today at 561-338-7797 or visit mdgadvertising.com. MDG Advertising, a full-service advertising agency with offices in Boca Raton and Brooklyn, NY, is one of Florida’s top branding firms. MDG’s capabilities include branding, logo design, creative, print advertising, direct mail marketing, media buying and planning, radio and TV advertising, outdoor, newspaper, digital marketing, website design and development, online video advertising, infographic development, email marketing, video marketing, mobile marketing, content marketing, social media marketing, paid search marketing, and SEO. To learn about the latest trends in advertising and branding, contact MDG Advertising today at 561-338-7797 or visit mdgadvertising.com.